There are many different types of fencing depending on stock and requirements that you have. It is important that field boundaries and paddocks are secure for the protection of livestock and surrounding areas. Stock fencing or wire fencing can be installed using high tensile netted wire. The wire strains tighter than mild steel wire and requires no tightening on a regular basis. We support the wire with eight-foot strainers; eight to ten inches in diameter every 50 meters and six-foot posts, three to four inches in diameter every three to four meters. 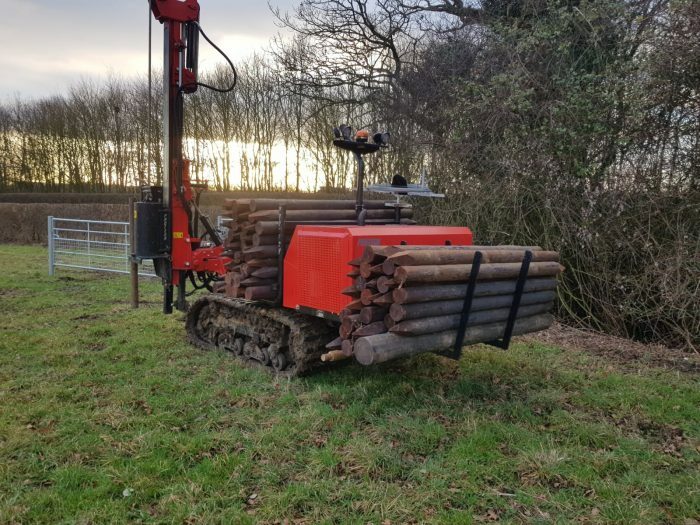 Posts are driven into the ground four and two feet deep respectively, using a state of the art, self propelled post driver fitted with a 750 kg weight making it easier to drive post into the hardest of ground. Depending on the length of the run, the stock netting is strained using a “Quick Fencer” or chain walkers. All strainers are supported by box joints and high tensile wire. 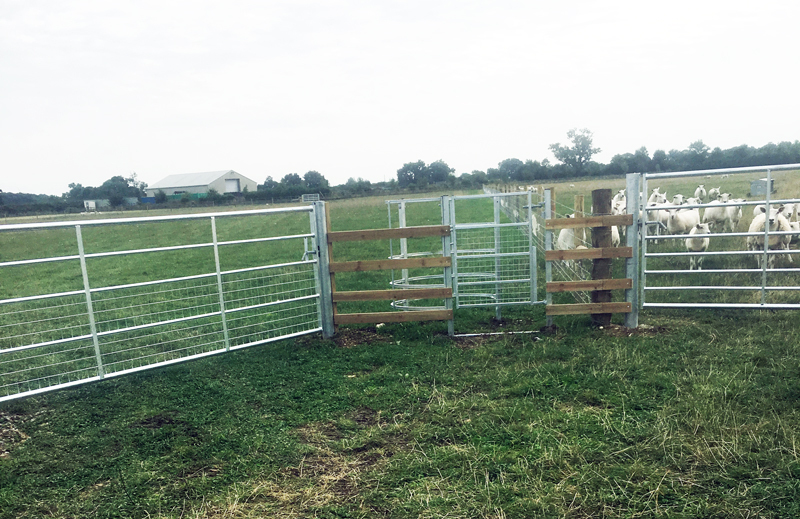 Either method ensures that the stock fencing is very tight, giving better security for any livestock. Stock fencing can have either barbed wire or high tensile wire above it providing extra security for live stock. All fencing posts have a fifteen-year guarantee against rot. At an extra cost we can supply creosoted posts which have an extensive lifespan. Post and rail fencing is very popular and used in many situations as it is both aesthetically pleasing extremely secure. We recommend at least three rails but can fit as few as two, or up to five. Posts are normally spaced at 1.8 meters apart and are six feet long. They are driven into the ground using a post hole driver two feet into the ground. No concrete is used as this has an effect on the life of the fence. A fence of this type will normally last fifteen years plus, depending on the materials used. We can supply creosoted posts that will last up to thirty years. 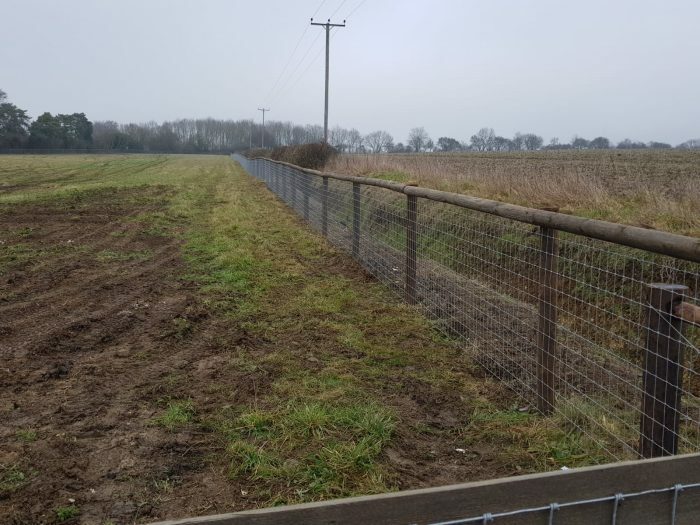 Stock fencing and rabbit wire can be incorporated if required. Specially designed for horses, equine netting is very similar to stock fencing. However, the spaces in the wire are small enough to ensure that horses do not get their hoofs trapped in the wire. The wire is manufactured so that there are no sharp edges. Equine netting is made from high tensile steel, which provides a long period of durability and very low maintenance. Equine netting for horses is installed in exactly the same way as stock fencing with intermediate posts four meters apart. A single rail above the wire netting can installed for extra safety if required. Featheredge fencing is normally used in domestic situations, and areas that require privacy. It is installed at a height of six feet or seven feet. Posts are bored out using a post hole borer and tampered in. The supports are nailed onto the post and then the overlapped cladding is nailed to the supports. Providing good quality timber is used this type of fence can last up to twenty-five years. 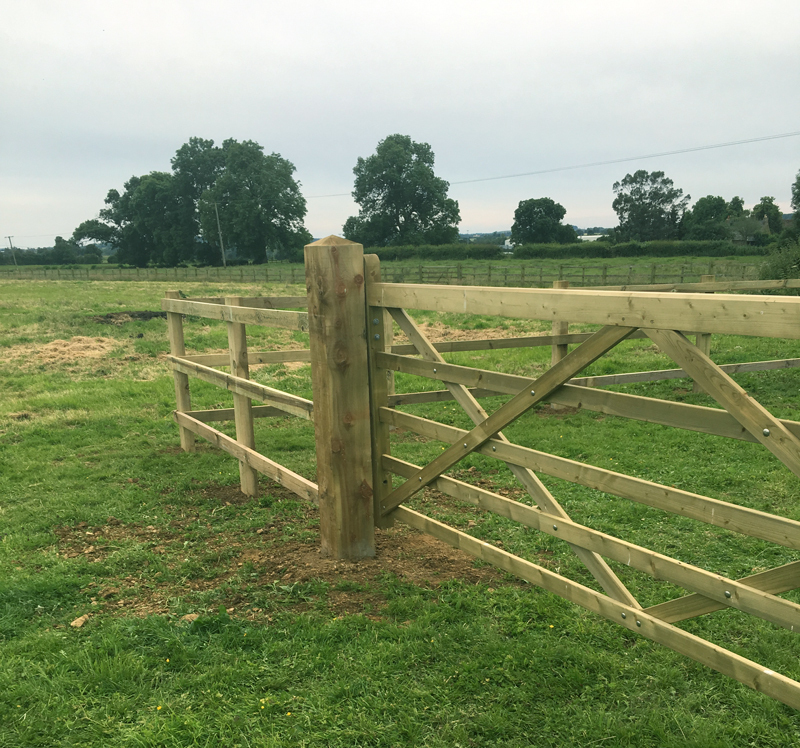 We can supply and install wooden or galvanised metal gates for arable fields, paddocks and equestrian areas. Kissing gates can be supplied and installed for public footpaths. 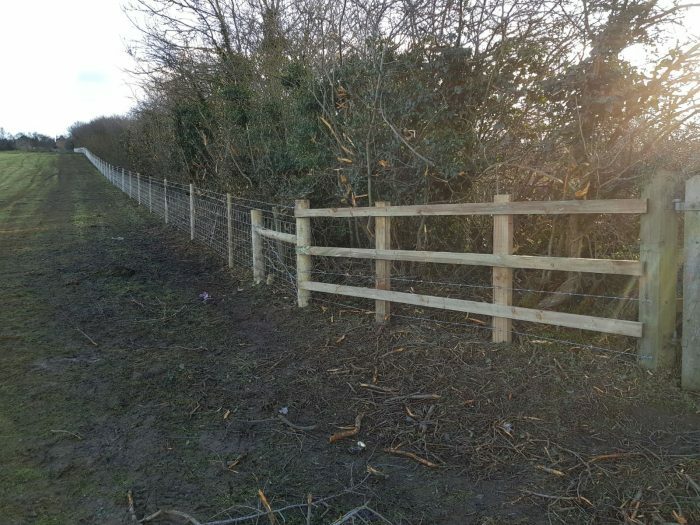 If you are looking for any agricultural fencing services in your area please use the form below to get a free no obligation quote.